There’s a lot of people in the movie industry that I think film fans feel programmed to hate and, a good amount of the time, the hate is deserved. I’m not going to defend Adam Sandler or M. Night Shyamalan or Uwe Boll, because I’ve seen their recent work and there is certainly not a lot of talent at play there: if they were ever good, they are certainly not now. But one of the big actors that often gets criticized as of late is Melissa McCarthy, who burst on to the scene in a breakout comedic role in Bridesmaids, playing a character so popular that she got a freaking Oscar nomination for it (even to this day, that’s still kind of crazy.) Since then McCarthy’s stock rose substantially, and she became a comedic lead in a night. The only problem? Most of her films post Bridesmaids haven’t been particularly good. Yeah I enjoyed The Heat and she was okay in her appearance in This is 40, but Tammy? Identity Thief? The Hangover: Part III? Not a great slate for McCarthy whatsoever, and it was very easy to see the internet hivemind turn on her from the days in which everyone was singing her comedic praises. So in that sense, Spy comes at the perfect time — just when I was starting to question if I still liked Melissa McCarthy, this film is here to remind me that, yes, I do. And I think a big reason why is because, in Spy, McCarthy gets a chance to expand out of the pigeon hole of roles she found herself in, i.e. always playing the brass, profane comic relief. Like so many comedic actresses before her, McCarthy found herself constantly playing the same role, and it was getting pretty tiring to say the least. But with Spy, McCarthy gets to show off a whole different side of herself, and it works terrifically for the most part. I wouldn’t say that McCarthy is playing the straight woman per say because she does have a lot of moments to show off her spunky sense of humor, but it feels like the jokes she makes in this movie are formed more around the situations she has found herself in rather than the character she is playing. And coming from McCarthy, that’s incredibly refreshing. Spy works as well as it does though not just because of McCarthy’s lead performance, but because the other actors around her are completely on point. For the second year in a row, Rose Byrne has completely stolen a comedic film from the people around her, and I got to say I love this new direction she is taking her career in — she is a far better comedic actress than I ever expected her to be. And also competing for the title of film MVP is Jason Statham, who does a fantastic job winking at the camera about his on-screen persona throughout most of the film. He’s terrific, and another case of a surprise comedic talent coming from someone you would never expect it to. Jude Law, Miranda Hart, and Perafinowicz also provide some fantastic supporting work from the sidelines. 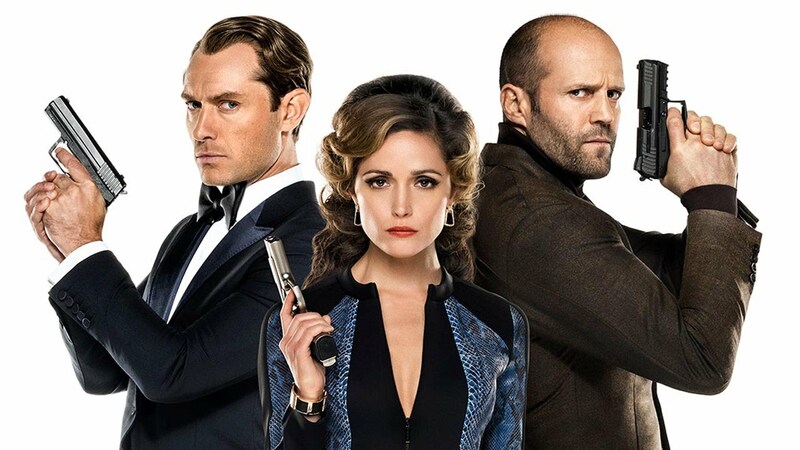 Spy isn’t a perfect film by any stretch of the imagination, as a unnecessarily convoluted story takes the film done a peg, especially in the third act. The film is also over two hours long, which is overboard for a comedy of this type (and you can feel it’s effect on the movie overall with the often times sluggish pacing). But as far as just being a well done, funny action comedy, Spy is very much a success. But still wish it had a better title. 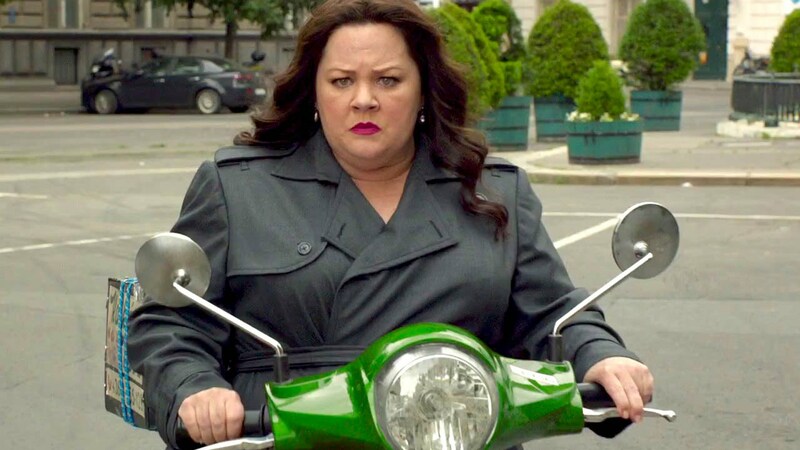 It has its flaws, but Spy is ultimately a really funny action comedy sporting a great lead performance from star Melissa McCarthy.